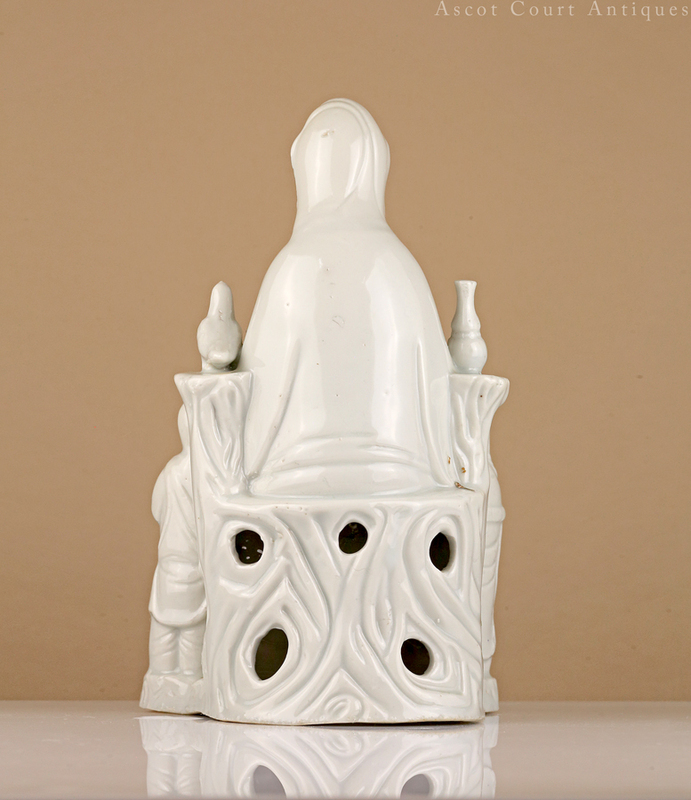 An early Qing blanc-de-chine figure of Guanyin, produced by the Dehua kilns of Fujian, well-modeled with the boddhisatva seated atop a rocky plinth, draped in flowing robes, and bearing a downcast expression (conveying the Guanyin’s role as a merciful observer of the world and its cycles of suffering). 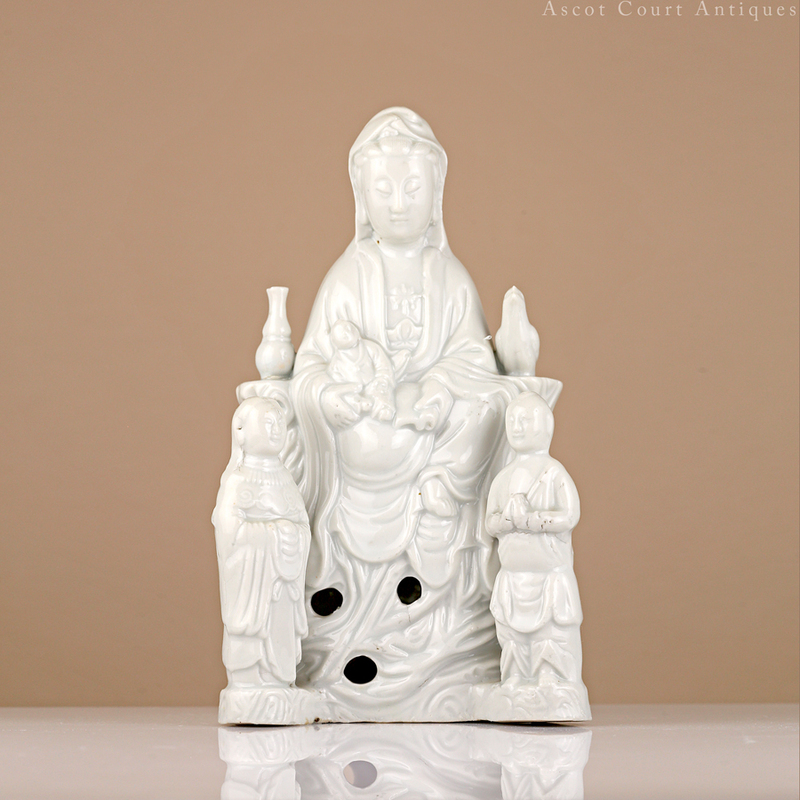 Two acolytes stand by the side, while a young boy rests in the Guanyin’s lap. 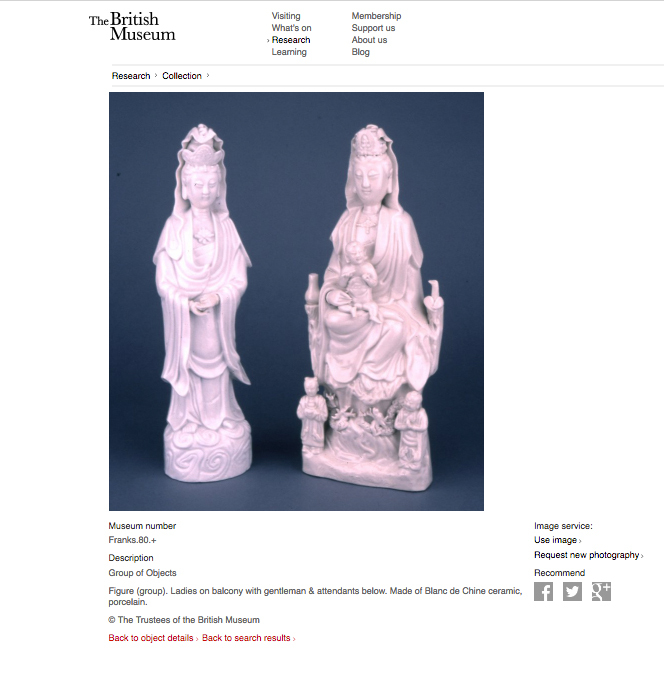 The rendering of the Guanyin’s face, with its full and rounded profile, is stylistically characteristic of the general rendering of Guanyin during the late Ming and early Qing period. 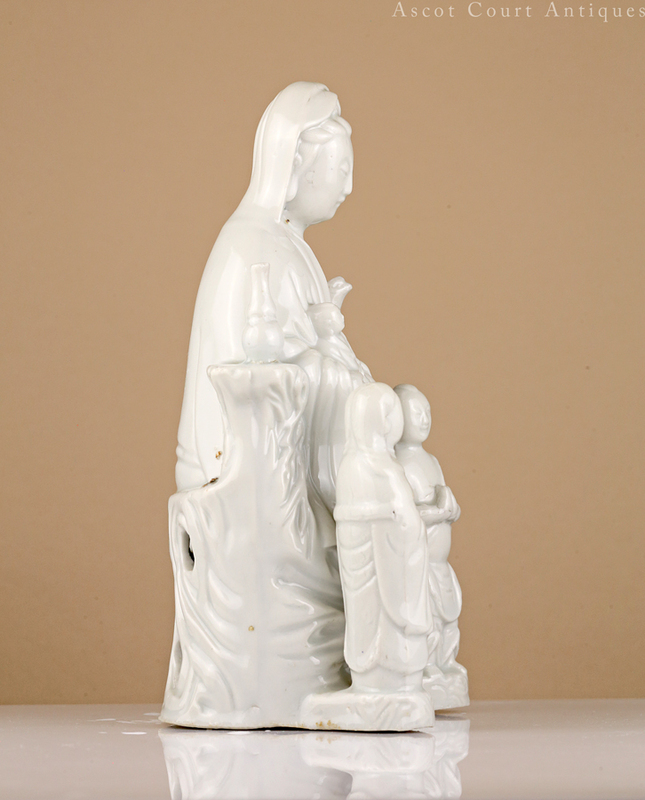 This variation of the Guanyin, in which an infant boy is included in the iconography, began appearing in the late Ming period, possibly due to the direct influence of Christianity, which began spreading along southern China’s shores (where the Dehua kilns were located) upon arrival of Portuguese merchants. 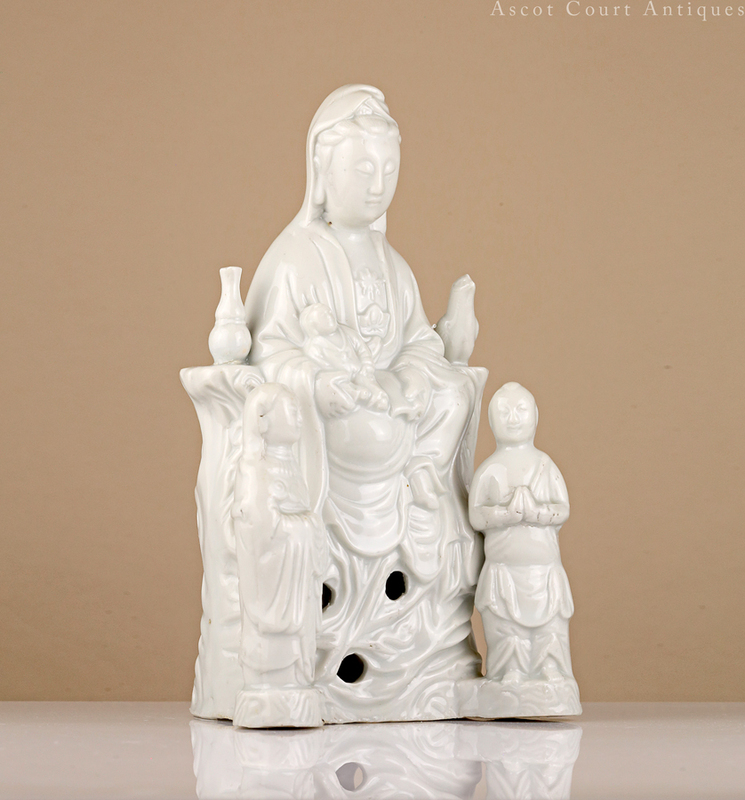 While in the earlier dynasties the Guanyin had been portrayed as a bearded and androgynous deity, Chinese worshippers began adapting the Guanyin as an eastern counterpart to the Madonna. 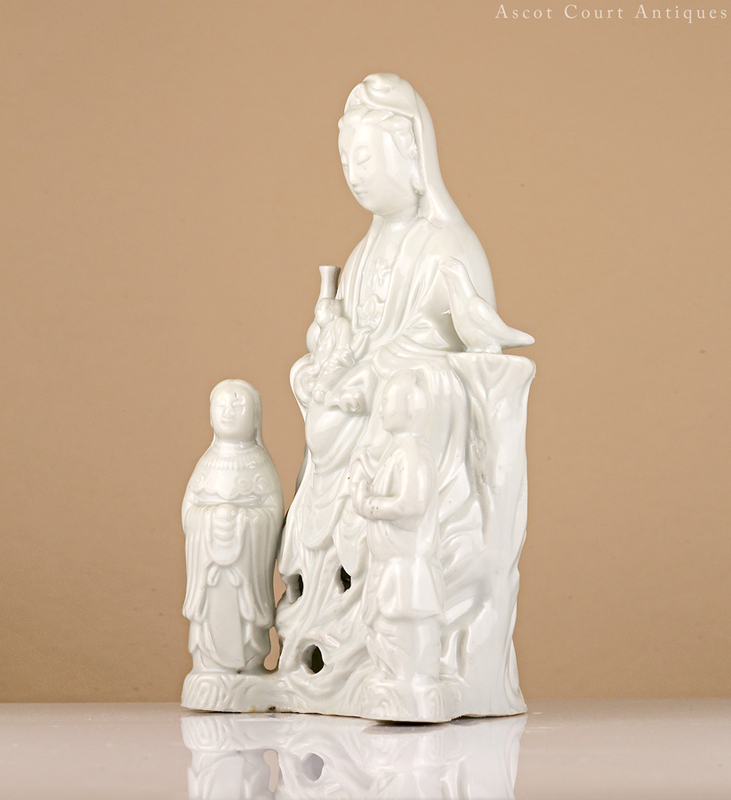 Many of these 17th – 18th century figures of the Guanyin holding a boy appear to mirror European ‘Madonna and Child’ imagery.